Whether you call it green or frugal, I don't care, but here are five ways I swap out conventional-disposable for reusable so that I can help save the earth and some scratch. And if you don't do these simple things, shame on you. There so obvs. Like duh 'n stuff. Bottles. Since I’m the annoying, difficult, you don’t want to wait on me "special diet" customer I often make up my drinks at home (smoothie, tea, etc.) which easily precludes me to using a reusable mug or my favorite, a washed jar that once held almond butter or whatevs. (If it had salsa in it or another pungent food item, wash it well!) If you’ve got extra jingle in your pockets mason jars are what the cool kids use, or so I hear. Ditto for water. Cue reusable water bottle. I had a lovely bottle like this one, (I know, I know, I was making fun of the cool kids and I lugged that thing around. I'm such a contradiction.) Anyway, it broke and did indeed smash on the mudroom tile despite the rubber reinforcement. Sob. Now I simply use an old milk jug. Shopping bags. I forget mine in the car. A lot. So if anyone knows of a way to make sure you remember to bring them in, please do tell me. Besides, yanno, remembering. I wash mine from time to time because boy, do they get grubby. I'm actually turning into a bag kinda person. I have bags for every occasion. Even bags that were super strong, but advertised something that I had no desire to promote (Think "Dave's all-purpose shingle caulking now in bulk size - okay, I made that one up, but it did say something like that...) Before I covered it in fabric and made it look cute. Pads. No, not for writing. Lady pads for lady parts. 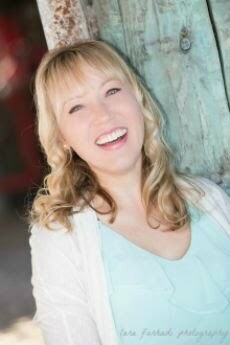 For more...read this article. I have a lot to say about the subject and used to blog about it frequently. Cloth. Yes, paper napkins and paper towels do decompose. And yes, you can by paper products made from recycled fibers, but the spinning blue planet we live on does take a hit during the production and shipping process. I opted to take out the lovely linens we received for a wedding gift, saved aside for special occasions and make every day a special occasion. We're so fancy using our cloth napkins, but not really because they're faded and kinda gungy now. Though, my trash can stays a bit less full and my kids don't mind folding the square bits of cloth. If you want to go all out you can add TP to this list, but I won't hold it against you if you don't. Well, just because. But it might be interesting to see just how such an experiment might go. And that is my PSA for today. 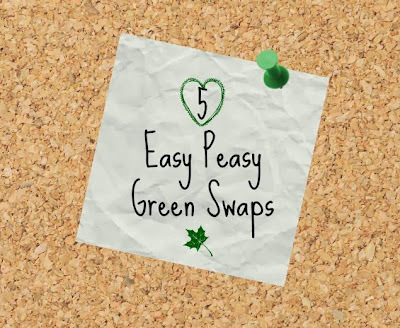 Please add any easy peasy green swaps you have tried. Cheers!